Organic foods are produced without the use of synthetic ingredients, including chemical pesticides, herbicides, fertilizers, hormones, antibiotics, bio-engineering, or ionizing radiation. Organic crops are produced by farmers who emphasize sustainable farming methods, use renewable resources and promote soil and water conservation. Organic certified yeast means that it was grown by fermentation on substrates derived from organic agriculture. Yeast needs several nutrients to grow. Besides sugar and nitrogen, it also requires vitamins and minerals. 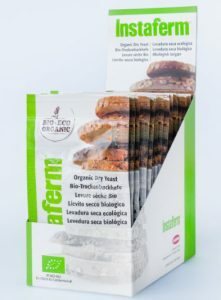 In organic yeast production, these nutrients are provides by organic plant-derived ingredients such as molasses, cereals, or leguminous crops. There is a short list of permitted processing aids that can be used in low amounts, up to 5%, and producers try to minimize their use. Through careful processing and a growing phase longer than that of conventional yeast, a high quality and well-performing organic yeast can be produced. Regulations pertaining to organic yeast have also changed in Europe and the US. Production guidelines were updated, and now organic yeast has to be taken into account in baking recipes. In 2002, the U.S. Department of Agriculture (USDA) developed national standards for organic food production and handling — a food can’t be labeled “organic” without meeting these strict requirements. A government-approved third-party certifier must inspect the farm where the food is grown to ensure the USDA National Organic Standards are being adequately followed. Companies that handle or process organic foods must be certified as well. The USDA previously made allowance for noncertified minor ingredients in products labelled as organic. But since October 21, 2012 a baker must use organic yeast in a yeast-containing food product if it is to be labelled as organic. 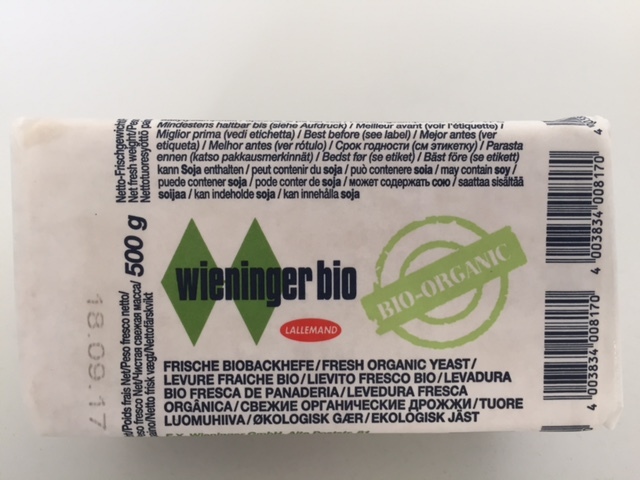 If a product is labelled as made with organic ingredients, or if no marketing claim is made, then conventional yeast may be used. In Europe yeast is considered an ingredient of agricultural origin since December 31, 2013. Nonorganic yeast or yeast products can only be used for organic food if they are (a) added in an amount of not more than 5 percent (assuming no other nonorganic ingredients are added) and (b) not mixed with organic yeast or yeast products.